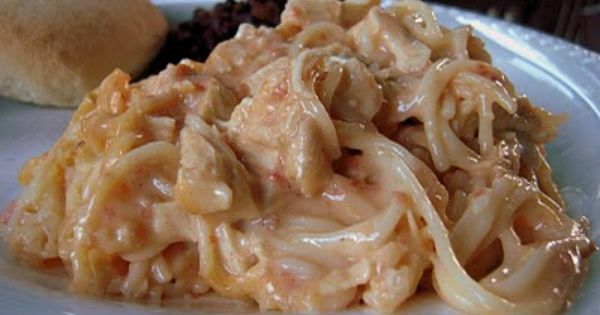 Rotel Chicken Spaghetti | Plain Chicken This recipe is quick and easy and delicious. I modified it by so it's not quite spaghetti, but more of a casserole. Instead of cooking the chicken I used rotisserie chicken, and instead of noodles I topped the whole thing with stove top stuffing prepared. Everything else is the same and my family LOVED it! !